Todd Haselhorst was one of the more highly recruited Sunflower League players of the 2000s. The hype meter began to increase his junior season when the talented lineman helped Olathe East to a Sub-State appearance against Olathe North. Haselhorst was the key cog on both the offensive and defensive lines for the Hawks, and people took notice. He was named First Team All-State Class 6A for his efforts. During the offseason between his junior and senior years Haselhorst received six Division One offers, and ultimately committed to play at Kansas. The commitment came in August just weeks before Olathe East was to start one of their most successful seasons ever as a program. 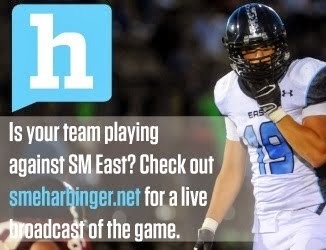 The Hawks rolled to a 10-0 start, including a 28-27 defeat of the defending state champs, Olathe North. Olathe East’s offense was averaging some 350+ yards per game, much of which was credited to Haselhorst’s outstanding offensive line work. Unfortunately for Haselhorst and company, the team didn’t win its eleventh game. Olathe East suffered one of the bigger upsets of the decade in the conference, losing to a red hot Blue Valley North team, 21-16. Haselhorst’s dominance wasn’t overshadowed however. Following the season he was once again named First Team All-State Class 6A in addition to being named to the Kansas Top 11 team, and winning the Buch Buchanan award as the top interior football player in the Kansas City Metro. KC Metro Sports also named Haselhorst to its First Team of Offensive Lineman. 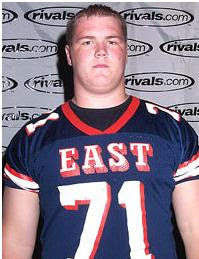 In college Haselhorst played defensive tackle for Kansas, and was key member of the team’s 2007 Orange Bowl victory season. Greer pushed him around like he was a little girl...great win beating North as a senior but who won the state championship?? ?